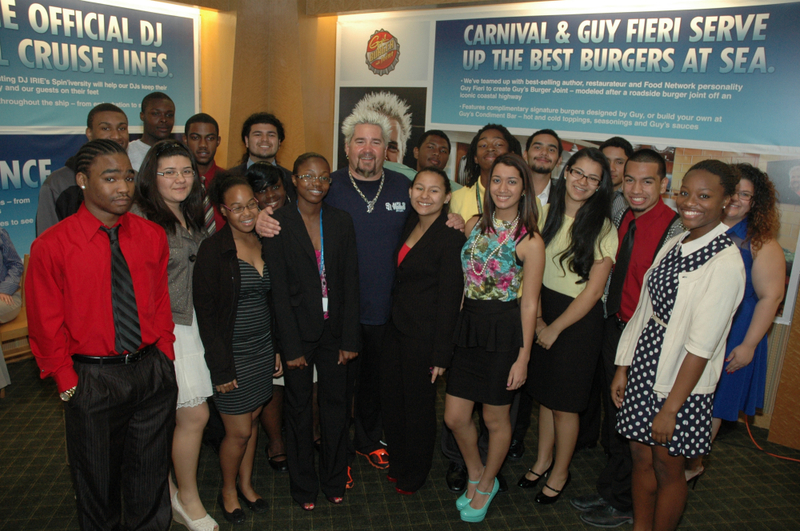 Celebrity Chef and Carnival Cruise Lines Partner Guy Fieri spoke to the Carnival Scholarship & Mentoring Program students about the importance of first impressions. The chef, who is known for his bold and outgoing personality, taught the students how to introduce themselves and give a proper handshake. Fieri even took the time to evaluate each students’ handshake individually. Each month the program invites speakers from a variety of fields who motivate and inspire both the students and their Carnival Cruise Lines and Carnival Corporation mentors through their own stories and experiences.